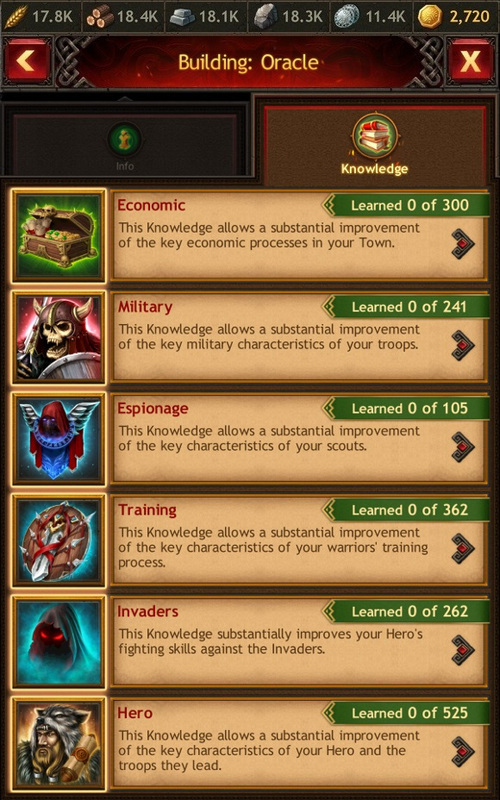 Knowledge substantially increases the economic stats of your Town and the combat stats of your troops, Hero, and Shaman. Knowledge is displayed in the Oracle. Upgrade it to unlock new Knowledge and speed up Knowledge learning. The Knowledge you upgrade affects the development of your Town.